Scott seems to be one of those brands that most people are aware of, but you never see as many out in the wild as you might expect. It’s got a strong heritage in ‘cross though and will be a more familiar sight to those of us who race regularly – often piloted by Nick “the nicest man in cycling” Craig. It was during a long phone call on a winter’s morning that Nick suggested that we test the Addict Gravel 30. Running through the range, it was the bike that we both thought looked to blend the performance of their highest end machines with at least a nod towards good value. A few weeks later, I was making a woefully late debut to this year’s ‘cross season and after “enjoying” the usual lapping by Nick during the race, I picked up the bike afterwards. It was good to hear that even the very best have their off days. Nick admitted to having put a little scratch on one of the brake hoods after a wee unplanned get-off on the bike’s shakedown ride. 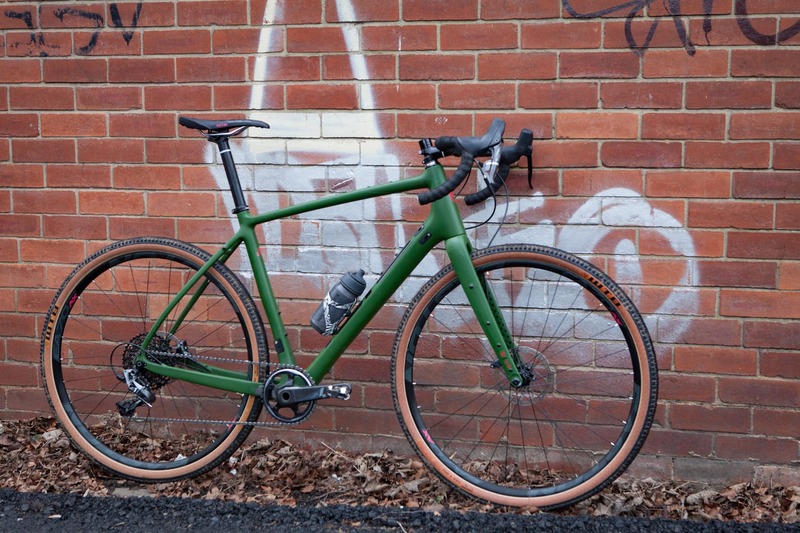 So, here we have an almost box-fresh first look of the Addict Gravel 30. It probably won’t make you as fast as Mr Craig, but at least it looks quick, even when standing still. Underneath a luscious paint job – the fluorescent yellow pops nicely from the glossy grey, is Scott’s HMF carbon frame and forks. HMF, or High Modulus Fibre is actually the company’s lower spec carbon. That’s not to say that it is low end – it’s more an indicator of how much investment Scott put into the technology. The highest end bikes in its ranges are manufactured with even higher modulus carbon (HMX) and even HMX-SL which includes carbon nanotubes to increase strength and save weight. Back to the Addict Gravel 30’s frame though. There are no surprises in terms of features; tapered head tubes, oversized bottom bracket shells, bolt-thru axles, internal routing and direct mount brakes are expected now. Scott has integrated all into a damn tidy looking package though. There’s a few really nice details – the internal cabling entry point is at the front of the headtube, which in our opinion, leads to the tidiest cable runs from the bars. It also removes any risk of cable rub on the headtube. Slender seat stays should add some comfort to the otherwise chunky-looking frameset. The Addict Gravel 30 is the least expensive of three bikes in the Addict Gravel range. The Addict 20 comes in at £3,699 for an upgrade to Ultegra shifting and braking. The Addict 10 features that HMX carbon and SRAM Force and DT Swiss carbon wheels, but you will also have to pay £5,999 to enjoy all the benefits that brings. If £3099.00 still feels too steep (and it certainly will for many), Scott also offer the alloy framed Speedster Gravel 10 and 20 at £1499 and £1099. It is also worth noting that the Addict Gravel frameset is actually shared with the Addict CX RC (£3,499) that Scott sells. The only difference is in the component specification of the bikes. 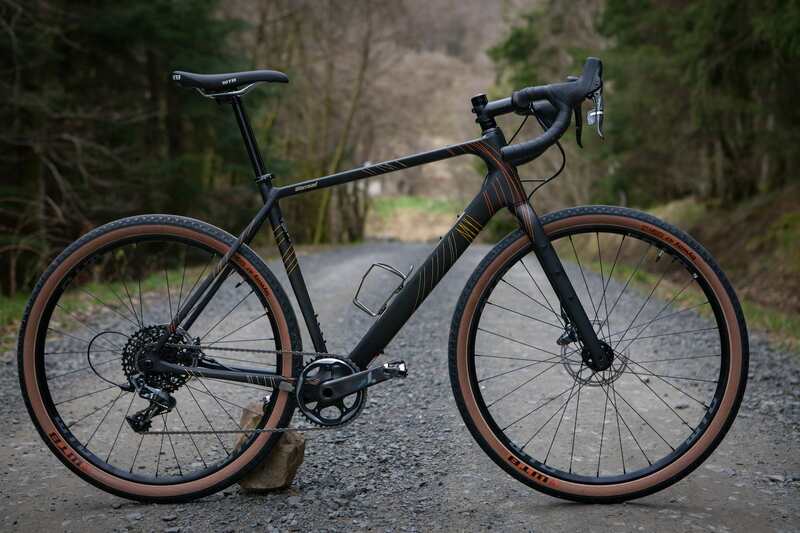 Should you wish to press the Addict Gravel 30 into ‘cross duties, all you’ll really want is some slightly more aggressive tyres, although the gravel focused gearing may not be quite as suitable as the 1x system used on the Addict CX. While we are talking gearing, the Addict Gravel 30 features a Shimano 105-based build. It was interesting to see a 50/34t combo on the chainset. This, alongside the fast rolling Schwalbe G-One tyres nods towards a high-speed fireroad gravel smasher rather than a pseudo drop-handled bar mountain bike. We imagine the Addict Gravel 30 will see as much use on country lanes and back roads as it will off the tarmac, and there is little chance of spinning out with a 50/11t high gear. The rest of the build is reassuring in its anonymity. Shimano 105 completes the braking and shifting duties. It’s a groupset that we’ve seen on a few test bikes recently, and we are sure it’ll crack on with the job with no problems or quirks. The Addict Gravel does feature a press-fit bottom bracket, which we know will put a few riders off. We’ve had few problems with the PF86 standard, but will report back. The downside to test bikes is there’s no chopping off the chimney stack of excess steerer. Scott’s own component arm, Syncros provides the wheels and other finishing kit. The RP2.0 Disc wheelset is tubeless ready, as are the 35mm G-One tyres. A carbon seatpost adds a little bit of understated bling and the Syncros Creston 2.0 bars have a nice subtle sweep and flare to them. 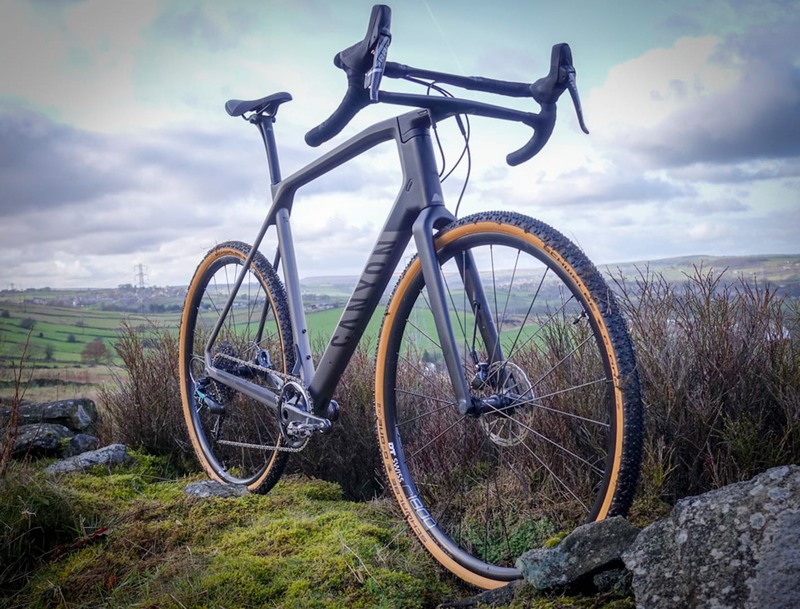 Tom’s already been getting the Addict Gravel 30 dirty, linking together a few of his local all-weather fireroads via the filthy winter-ified country lanes. Despite some miserable weather, the Addict has been a fun ride so far… here’s to trying it in the warmth of spring. We’ll report back once there are a few more miles under the tyres.